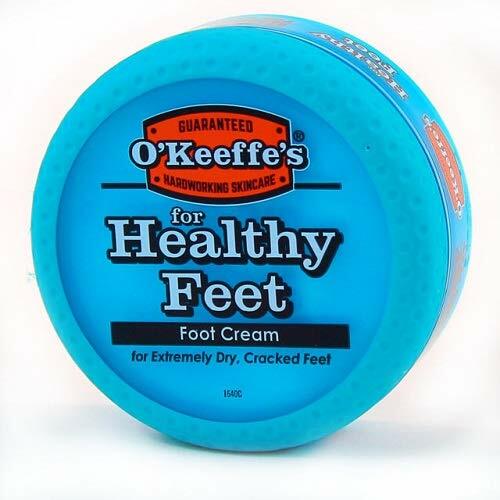 O'Keeffe's for Healthy Feet, for feet that crack & split, use O'Keeffe's for a lifetime of healthy feet. 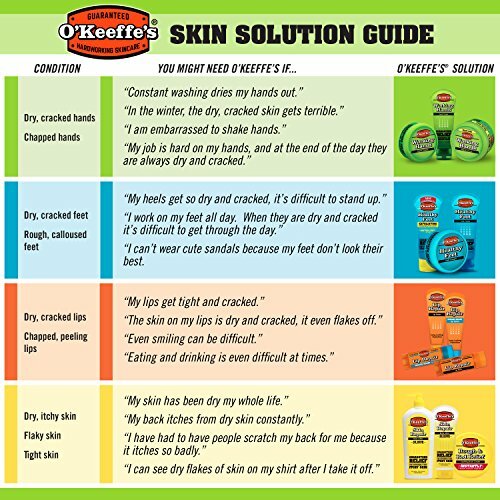 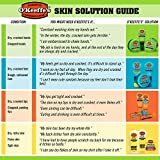 Skin is the largest organ in your body, and its your first line of defense against infection. 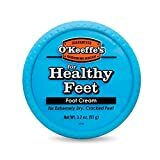 Maintaining healthy feet not only feels great and keeps you active, but it also helps prevent other, more serious problems from developing. 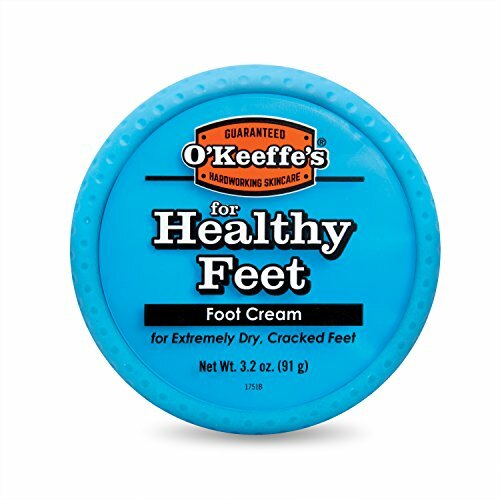 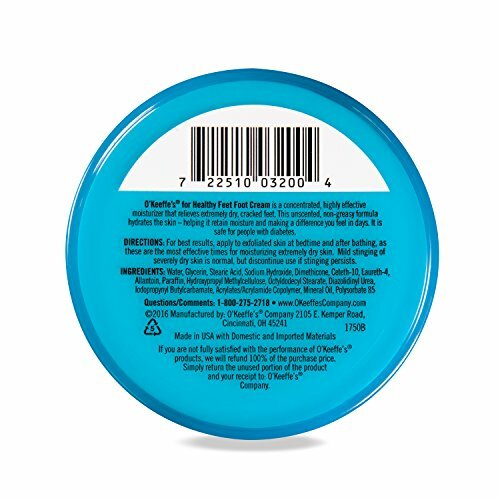 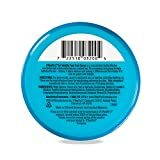 Non-oil based and made with Glycerin, O'Keeffe's for Healthy Feet draws in and retains moisture, necessary for skin to heal. 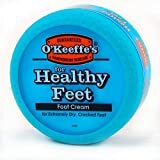 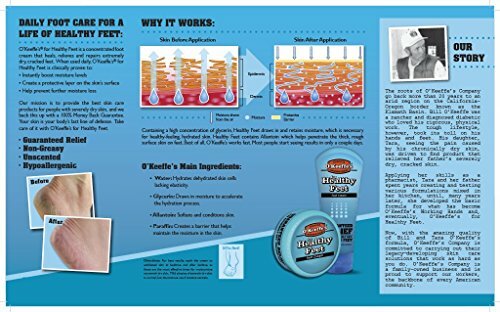 Healthy Feet also has a higher concentration of Allantoin to remove dead skin cells for better penetration and absorption of moisture and moisturizing ingredients through the tough, thick skin of the feet and dry heels. 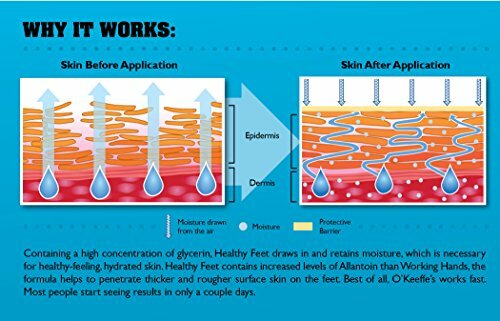 Allantoin also protects against the damaging friction that feet endure. 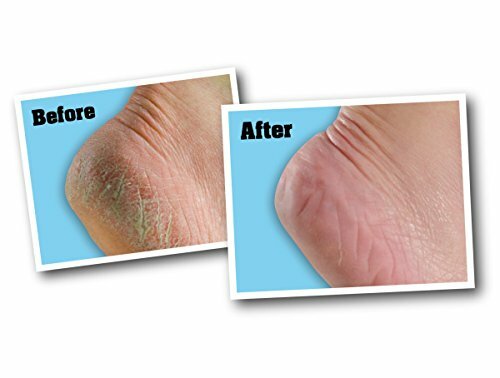 All part of our unsurpassed 3 Step Process that relieves dry, damaged skin- amazingly effective even when prescriptions can't do the job.